Use these promo codes to save on your next Grab ride! While we do our best to keep this page as updated and accurate as possible, offers featured may change at the discretion of merchants. Please verify these Malaysia 2018 Grab promo codes with Grab. New Grab users can use this promo code to for their first two consecutive rides, whether they’re using cash or credit/debit. Add your Citi card to your GrabPay and enjoy half off two rides, capped at RM5 per ride. When travelling to/from Gama, use this promo code to get RM5 off your trip! New and existing users can enjoy RM20 off 10 GrabCar rides, limited to the first 2,000 redemptions per month. Valid 8 pm to 6 am the next day. 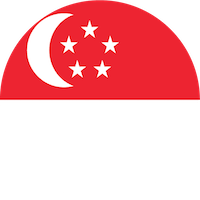 Did you find this article about Malaysia 2018 Grab Promo Codes helpful? If you have any more Malaysia 2018 Grab Promo Codes that we missed out, please leave it in the comment section below. Grab’s Acquisition Of Uber In Southeast Asia Makes It A Monopoly In Many Markets: Will It Start Raising Fares?